Hi writers, hope-t0-be-writers, just-want-to-fool-around-with writing writers and all you readers who haunt bookstores. I just got back from Paris where every park bench, café table and patisserie inspires me to sit down and write. 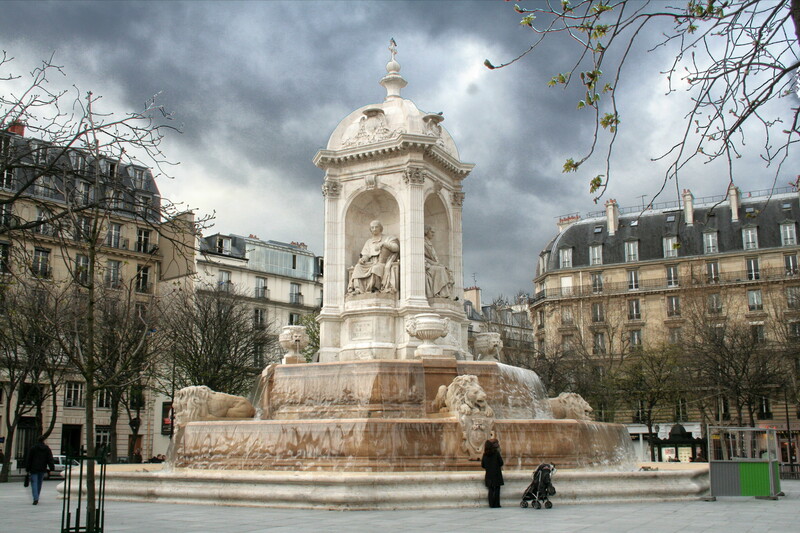 I saw a young child talking to the stone lions at the fountain at St. Sulpice and thought of a story. Writing travel stories for children can be a wonderful way to see a place through a child’s eyes. For me that’s magical. Vive la différence, I say! It allows me to put my American self in relief and treasure it and at the same time immerse myself in something different. I really can’t explain why being in Paris makes me feel so wonderful. I feel something different in the air. Different energy, different streets, different patisseries! So travelers, pick a place you have been, a different neighborhood, a different part of our country and imagine it through the eyes of a child. I find a child’s point of view loosens up my observations. Try it writers! Better yet try reading it to a child. See if their eyes light up. Here’s mine. I imagine it as a picture book. Emily stamped her foot on the cobblestones and ran over to the Lion Fountain in the middle of the courtyard at St. Sulpice. She climbed up and hugged her favorite lion and refused to let go. Emily wiped her tears and took her mother’s hand. “Bonjour Emily,” said Dr. Delaunay. He shook her hand and smiled at her. She stepped into a very large room with high windows. There were paintings hanging everywhere she could see. Splashes of shiny red, scribbly black lines and funny shapes reached out to her to say hello. She touched a hanging wiggly sculpture with dots. Slippery! Oh, oh, the blue dentist chair. Emily hoped at first it wasn’t real, maybe even make-believe. But it was friendly, not like the dark, scary dentist chair in Dr. Brown’s office back in New York. A large painting with lines that looked like a man in a funny hat loomed in front of her. The man waved. “I am your new French friend.” Emily’s eyes opened very wide and she didn’t even feel the prick of the novacaine needle or the drill fixing her sore tooth. “Come and visit your new French friend any time you want,” said Dr. Delaunay as they were leaving. PS I took literary liberties with the lions–to serve the story of course! They are actually too high off the ground to reach. what a wonderful story! 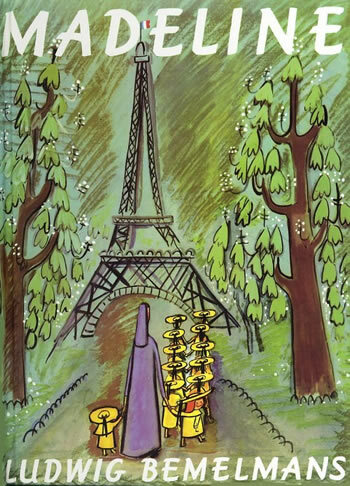 I love Paris too. There is a photograph everywhere. Thanks. What a wonderful sunny story for a gray day. I went to the zoo this week for the first time in 20 years. I know what you mean about place.